Revolutions have often occurred in poor countries. Although triumphant revolutionaries may lack the resources to assume complete responsibility for their country’s economy, they do tend to nationalize what Lenin called the “commanding heights”—those enterprises that meet the strategic needs of the polity. How these enterprises are administered is consequential, and at times decisive, for the course of revolutionary change. 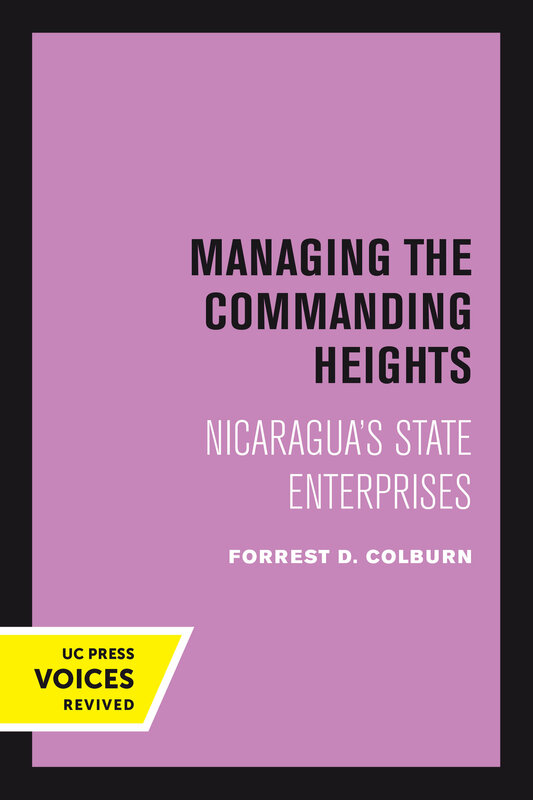 In Managing the Commanding Heights, Forrest D. Colburn explores the Sandinistas’ management of Nicaragua’s state enterprises, with an emphasis on the critical agrarian sector. Central to the book are three lively and instructive case studies that provide a penetrating glimpse into life in post-revolutionary Nicaragua. In analyzing these cases, Colburn explains the intentions of the Sandinista elite and links them with choices made at individual enterprises. Colburn argues that state enterprises have been politically useful but economically unsuccessful. Even with the unseen political advantages of state enterprises, the pronounced financial losses of nationalized farms and factories exacerbate the economic—and ultimately political—vulnerability of a regime already weakened by counterrevolution. The evidence demonstrates trenchant limitations to a revolutionary state’s capacity to improve popular welfare. State capacity is undermined by multiple factors: international constraints on the autonomy of post-revolutionary regimes, sheer poverty, the unintended but inevitable political manipulation of the economy, the lack of managerial ability among even well-intentioned elites, and a revolutionary mentalité that erodes rationality. These same difficulties have bedeviled other post-revolutionary regimes, notably those in Africa. Managing the Commanding Heights is essential reading for anyone interested in the dynamics of revolutionary regimes and the possibilities for radical change in poor countries. 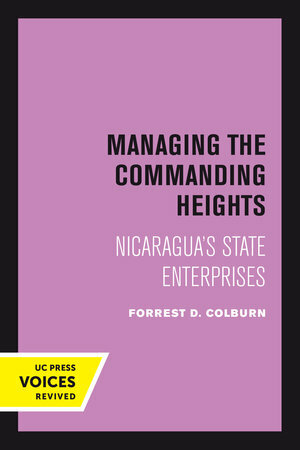 Forrest D. Colburn is Chair of the Department of Latin American Studies at Lehman College, CUNY. His books include Varieties of Liberalism in Central America: Nation-States as Works in Progress, Latin America at the End of Politics, and Post-Revolutionary Nicaragua: State, Class and the Dilemmas of Agrarian Policy.